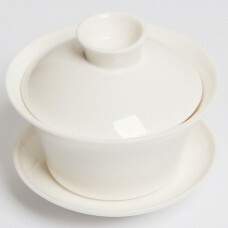 Made of fine Bone China, this simple white Gaiwan is suitable for infusing any tea. Porcelain is the most versatile material for teaware with its excellent temperature management and easy to clean properties. A white porcelain gaiwan is a must-have basic equipment for anyone interested in gong-fu brewing.